If you’ve been following my social media feeds, you know that I was at BlogHer last week. I scheduled my trip to BlogHer to be a bit longer than the actual conference, based on advice from the all-knowing Julie Nowell (she really does know well.) She attended the conference last year, so she had a better idea of what to expect and how long I would need to make the connections with people that I wanted to make. Plus, when Julie tells me to do something I usually just do it because she’s a smart cookie. And she doesn’t let me get in my own way. Nerdguy found me a plane ticket months ago at an incredible price into San Jose, where the conference was being held. My roomates were flying into San Francisco, and decided to explore there for a day before coming to San Jose. The timid, anxious side of me was beckoning to just head right to the hotel for the conference and get a good night’s sleep. Luckily I didn’t listen to that spoilsport and I booked a shuttle to meet up with the girls. It was supposed to be a shared van service, but who knew that people intending to go to San Fran would actually fly into that airport? Where’s their sense of adventure? So I ended up with a private car, with a sign with my name on it, like a celebrity. Except for the suitcases I was dragging around, and the squishy coach seats – I was exactly like a Kardashian. We stayed in Union Square at a hotel that Tiffany booked for us with Hotels Tonight. We were grateful to get a good rate – President Obama was in town speaking at two different hotels, so rooms were hard to come by. The app made it easy. Union Square had awesome shopping, and was way more (what’s a better word for alarming) downtown than I was expecting. We had a yummy dinner at a little Mexican restaurant – all while promising each other to go easy on the beans. It was a great way to unwind from a long day of travel. 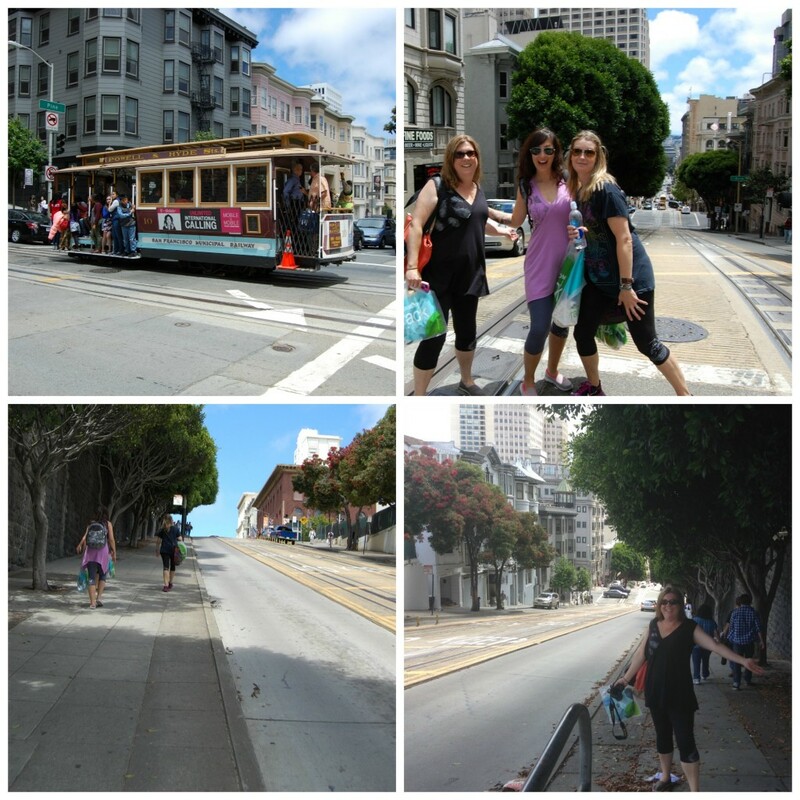 The next day we shopped til we dropped, walked through China Town, and trekked up and down the steep hills that San Francisco is famous for. 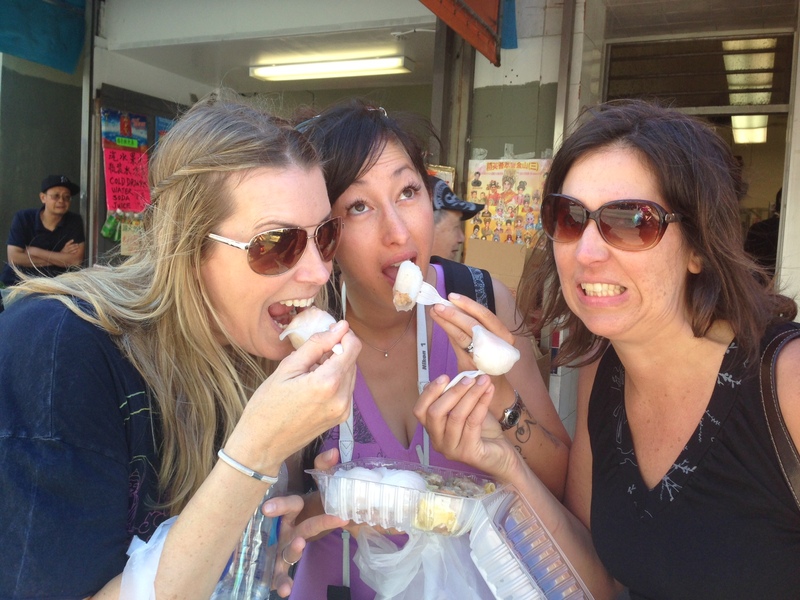 We ate Dim Sum that Tiffany ventured in and bought from a little restaurant where they spoke no English. 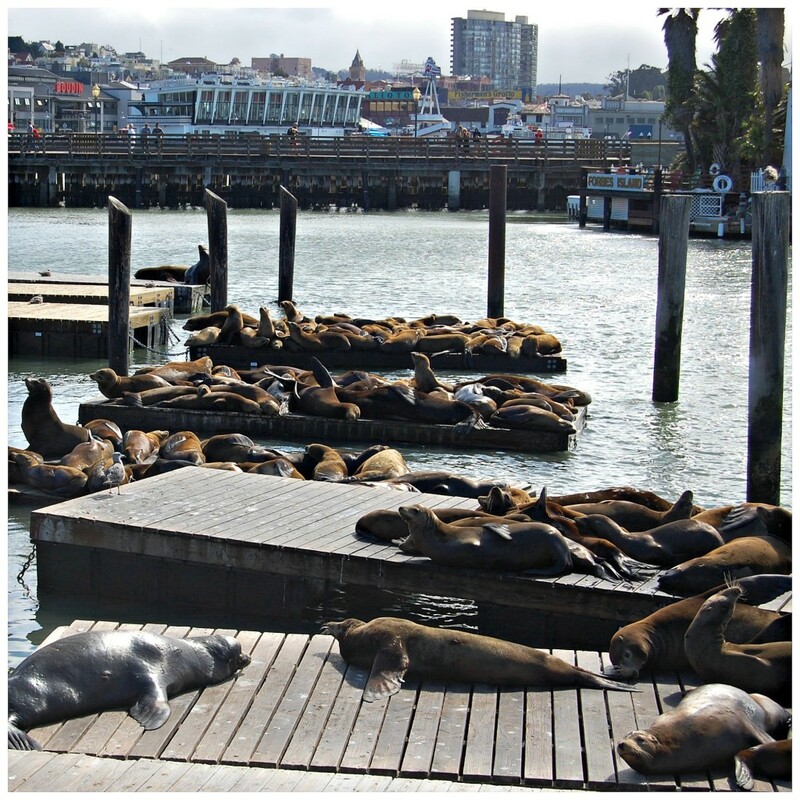 I tried to plot how to take a Sea Lion home from the Fisherman’s Wharf. I think it was going to involve a street car. We shopped in the cute little stores along the wharf, and we had a delicious dinner at Fog Harbor Fish House. It was a busy day of exploring the city, and I was glad that I had comfortable clothes from Mandala Sky to wear that were forgiving of the food I was devouring, and also looked great. 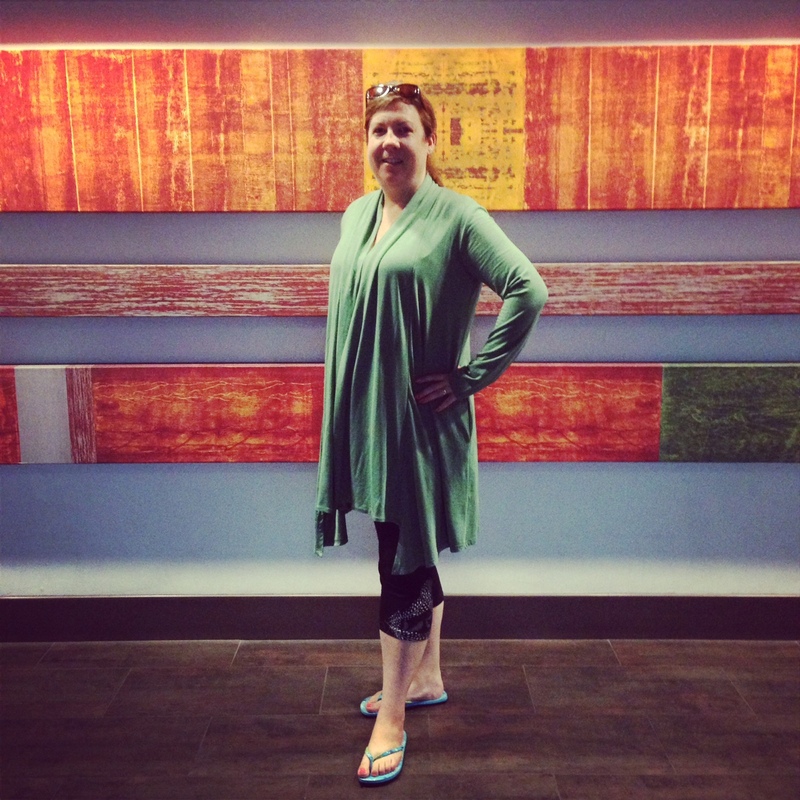 I’ve normally shied away from yoga wear because it’s often tight and only looks good on people who actually do yoga. But the feather tunic is long enough to cover my tushie, and has an A-frame that doesn’t cling, which I love. Even better is that I think I could have gone with a size smaller than I often wear, which is good for my ego. I wore the outfit again to see LA, and for my flight home. The Mandala Grace wrap was perfect to slip into my bag when it was hot, and wrap myself up in when I was on the windy roof of the double decker bus, or snoozing on the red-eye home. And I felt put-together looking, which is not an easy feat when traveling. I probably didn’t smell put together, but I just gestured at the people beside me. Check out Julie’s video and Christine’s and Tiffany’s posts about our day! Too cute I love SF City. p.s cannot wait to see the LA tour recap! Thanks Kyla! 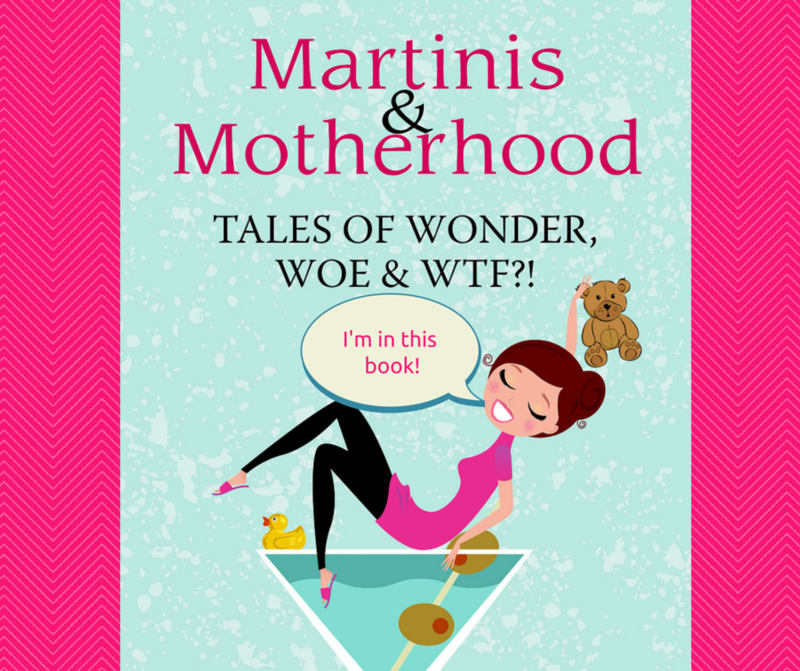 Watch for the part about me curling into the fetal position in the middle of Hollywood!